Away from it all...but not too far! Queen bed in the master, and queen sofa sleeper in the living room. 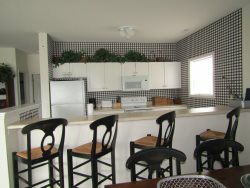 Includes full kitchen, washer/dryer, and private lakeside balcony.